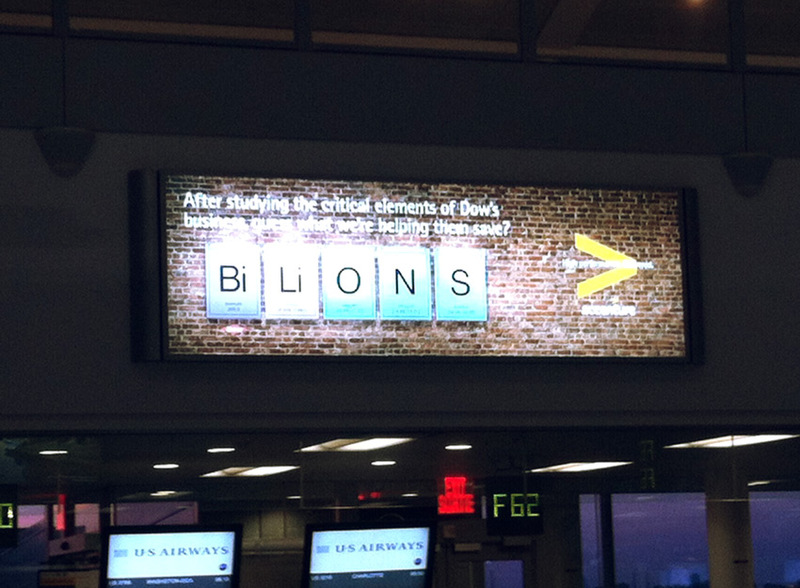 This was brought to our attention by the Consumerist last year, but it seems Accenture still has these BiLion ads up in certain airports. I caught this one in Toronto’s Pearson Airport and it made me do a double take since at first I thought this actually was about bisexual wildlife. The Consumerist’s article about this peculiar use of misspelling posited that this might’ve been due to an insistent exec but my theory is that this is a good case of brand overconfidence*. *not a real thing, I just made it up.